The claim that “The Wizard of Oz” is a story that encourages Atheism, is in my opinion the claim with the greatest supporting evidence from within the content of the story itself. For anyone that does not fully understand what atheism entails, it is essentially the belief that religion is completely humanly contrived and there are no higher or supernatural powers guiding human beings through life; basically, we are on our own in this life (Tourton). So how does a life perspective that initially appears somewhat harsh and unimaginative fit into an incredibly fantastical and imaginative children’s story? Interestingly atheism appears in a positive light within “The Wizard of Oz”, in that it encourages the idea that our lives can be full and satisfied without the promise of higher powers. The main argument in support of this claim is connected to Wizard of Oz himself. 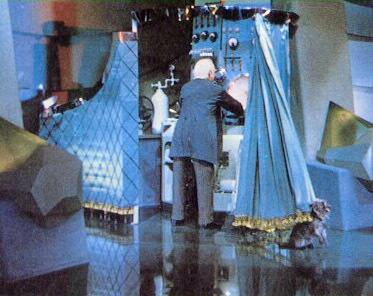 As has already been discussed, the main plot line of “The Wizard of Oz” is that Dorothy and her new companions need to make it to the Wizard within the Emerald Palace in hopes that he has the power to send her back to Kansas. The Wizard is held up as a God like figure to the inhabitants of Oz and Dorothy is no different, believing, without doubt, that Wizard is her ticket home. However, when they arrive it is discovered that the Wizard is simply a falsified image projected by an average man behind a curtain. This is the first indication of atheist reflections because the higher power of Oz is found to be no different than the average person, a situation essentially suggesting the human quest for higher power will ultimately end in disappointment. As for some symbolisms of atheism in “The Wizard of Oz” writer Robert Klabunde states that Toto, Dorothy’s dog, initiates atheism reflection in the story, an interesting thought considering that author Mark Lackey saw Toto as Christian symbol of Unity. Religion does not by any means appear overtly in “The Wizard of Oz”; however, at the beginning of the film there is one Christian reference. Dorothy has been raised by her Auntie Em and Uncle Henry and after an incident in which Toto bites a mean spirited neighbor, Auntie Em states that she will refrain from saying anything bad to the woman because she is “a Christian woman”(Klabunde) So, what does this have to do with atheism? After the bite, the mean neighbor, Miss Gulch, wants to have Toto done away with and Auntie Em and Uncle Henry do not come to the aid of Toto. According to Klabunde this is the moment that sparks Dorothy loss of religion. In that, the main sources of religious authority in her life do not fight to save Toto, which translates into God not being able to save Toto. Klabunde even goes so far to suggest that the Tornado which begins shortly after the incident with Toto is the physical manifestation of the turmoil and confusion in Dorothy’s mind as she is faced with the validity of God and religion as a whole (Klabunde). Klabunde is certainly not the only person to see atheistic reflections in “The Wizard of Oz”. A number of years ago a selection of parents in Greenville, Tennessee decided to lobby against several books that were being taught in their Children’s schools, one of which was “The Wonderful Wizard of Oz”. One of their main arguments against Baum’s novel was that “it gives the impression that courage, intelligence and love…are developed by people- rather than just given by God” (UU Troubadours). Thus, one need not be a scholar to recognize the message within “The Wizard of Oz” that encourages finding strength in humanity rather than God-like figures like the Wizard. The message of Atheism is continued further at the very end of the story when Glinda, the good witch of the North returns to tell Dorothy that the power to get back to Kansas has been with her the whole time, in that all she has needed to do is click the heels of her coveted ruby slippers three times chanting “There’s no place like home” and she can exit Oz; Dorothy has not needed to rely on the proposed power of the Wizard at all. So if the journey was under false pretences, why did the good witch Glinda send her down the yellow brick road in the first place? Klabunde explains this with Glinda’s famous quote at the conclusion of Dorothy’s time in Kansas: “because she wouldn’t have believed me. She had to learn it for herself”(Klabunde) Dorothy would have never believed that God doesn’t exist at the start of her journey, she had to learn from the experience of finding the power within herself to overcome obstacles and make it back home, that as humans we can only depend on ourselves. Although the parents of Greenville, Tennessee saw the atheist components in “The Wizard of Oz” as detrimental to their children, if they opened their minds and really looked closely at the story it is clear that atheism is present; however, the story showcases that choosing atheism as a world view doesn’t make one a bad or evil person. Dorothy returns to Kansas extremely happy to see her family and friends, despite the fact that their beliefs still remain Christian. She has not transformed into a bitter or unkind person and does not appear to wish her new view of the world on anyone else around her. She has simply found through experience that religion and God are not to blame or thank for the occurrences in her life, but that she can still live a whole and satisfying life in light of this new discovery.